Conquer your fears with this ultimate High Ropes Course. 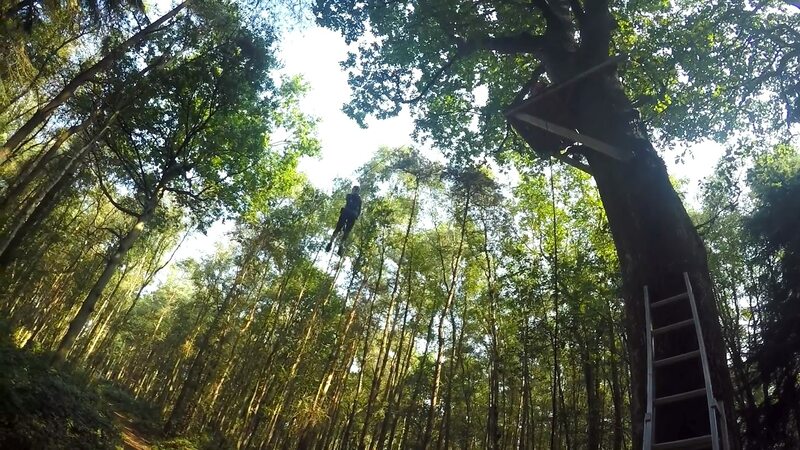 Experience up to 13 different tree top challenges in the heart of the East Sussex woodlands. 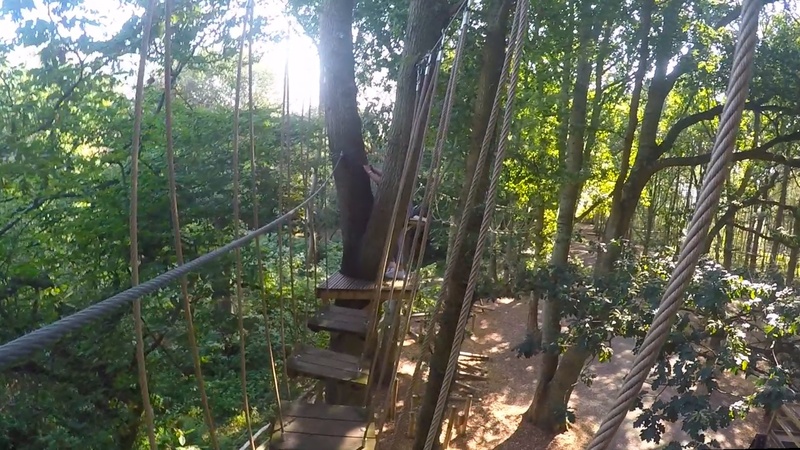 Take to the tree tops to fulfil your inner Tarzan with this High Ropes Course in East Sussex. This exhilarating High Ropes Course will give you the chance to take on the challenge of completing 13 elements high above the ground. These challenges will put your strength and ability to the test, and maybe even your fear of heights! Located in the woodlands of East Sussex, the site is easily approachable for a day of fun for all the family. When you arrive at the centre, you will receive a safety briefing from a qualified instructor to explain the all-important rules. They will then get you suited and booted, ready for your turn in the trees! When you are ready to take on the mighty woodland, you can make your way through the 13 elements, including the multi vines and the postmen’s foot wire. 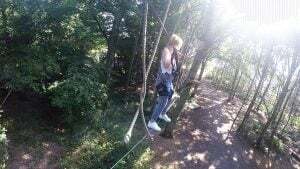 Once you’ve conquered the 13 tree top challenges, you can finish off with a ride down the 80ft zip wire for that extra adrenaline boost! After all the excitement you can meet up with the rest of your group, cool yourselves off with some snacks from the onsite facilities, all the while sharing stories of this incredible experience. This is a perfect experience gift for a family occasion, or for a group of friends looking to spend some time in the great outdoors. 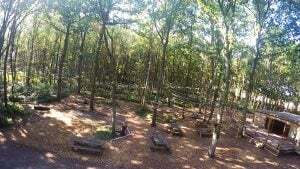 This high ropes course runs all year round - subject to availability. 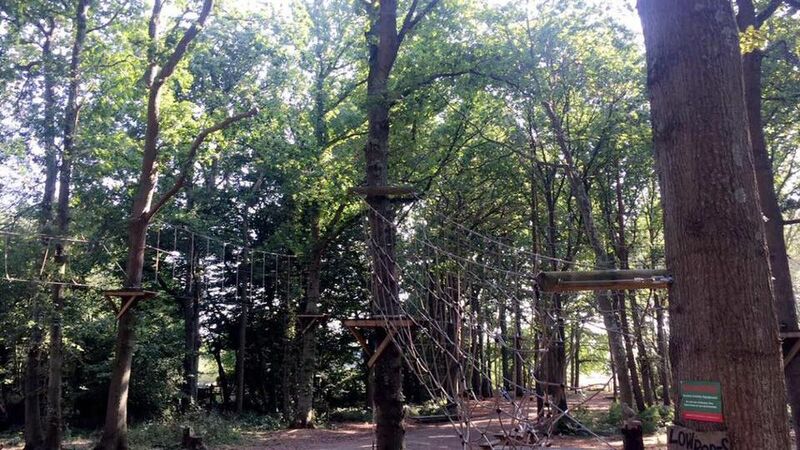 A ticket for the Children's high ropes can found here. It will take you approximately 60 minutes to make your way around the course. This excludes the safety briefing and introduction. 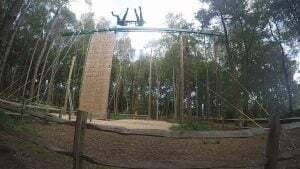 Participants: The High Ropes Course - East Sussex is for 1 participant. Spectators are welcome to follow you from the ground as you make your way through the activities. There is also a cafe on site, where spectators can wait and enjoy some light refreshments. You should wear comfortable clothing that you don't mind getting dirty. - Dress accordingly for the weather. It is also advised that you bring gloves and wear sensible shoes. No sandals allowed. The experience can run all in weather conditions. Only in extreme forecasts will the experience need to be cancelled and rescheduled. 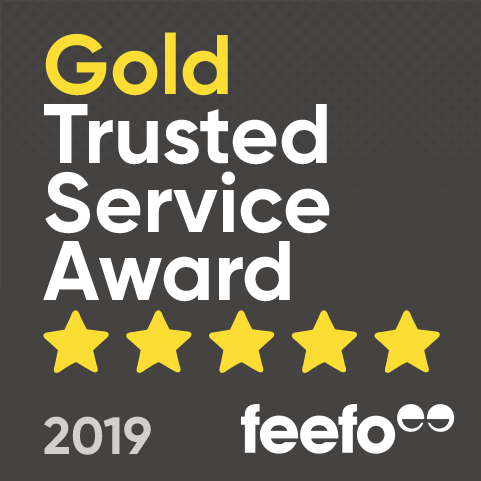 I thoroughly enjoyed it, although I found it fairly hard work. I would certainly recommend it to other wrinklies. Although it seemed a challenging course my friend enjoyed the variety of the obstacles and was thrilled to successfully complete them. The huge swing shared with another family provided relaxation and exhilaration in contrast to the gruelling climb in readiness for the plummet. Cheerful and confidence inspiring staff along with a warm welcome at the comfortable cafe made the whole day complete! Pete loved it! 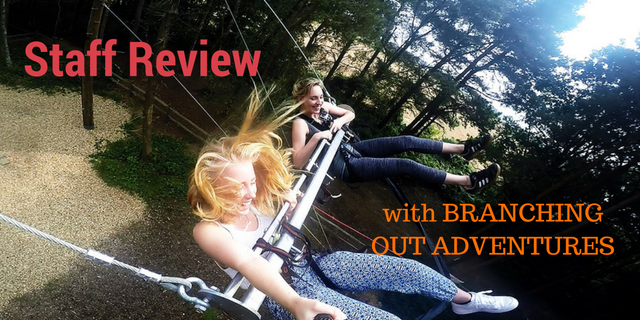 With a car packed full of gear, and two eager beavers ready to get climbing, Leoni and I arrived at the site (after a very wrong turn which took us to a campsite – definitely not where we were supposed to be!) We could not have picked a better day for it; the sun was shining and there was not a cloud in sight. We parked in the spacious car park (free of charge) and headed towards the woods to begin our day. Mark and his mascot, Edie the border terrier, enthusiastically greeted us whilst Leoni and I marvelled at the stunning location of the adventure centre. It was time to get going and get harnessed up, and as far as harnesses go, these ones were pretty comfy! Amy, another member of the team led us through a quick safety briefing before we were let loose on the high ropes. It was pretty scary as you are in charge of clipping and unclipping yourself around the course but the magnetic clips made sure it was physically impossible to fall off. The course had the perfect combination of being challenging but achievable – our arms were knackered after though! After a quick refreshment break at the onsite cafe (all this exercise was thirsty work), we prepared for our final activity; a ride in the giant swing. On our way down, I had many different visions of what the swing would entail and it really isn’t what you’d expect – it’s way better. You are strapped onto a bar with your legs dangling in the air. 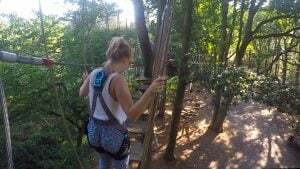 You are then hoisted up until you are level with the tree tops, then you pull on the cord and drastically drop down before swinging forward. You feel your face drop and your stomach turn, then comes the laughter! Our favourite activity had definitely been topped. We had one of the most exciting days yet with Branching Out, and can’t thank them enough for inviting us down. It is somewhere you could go again and again, and not get bored. I think we will need another road trip down!